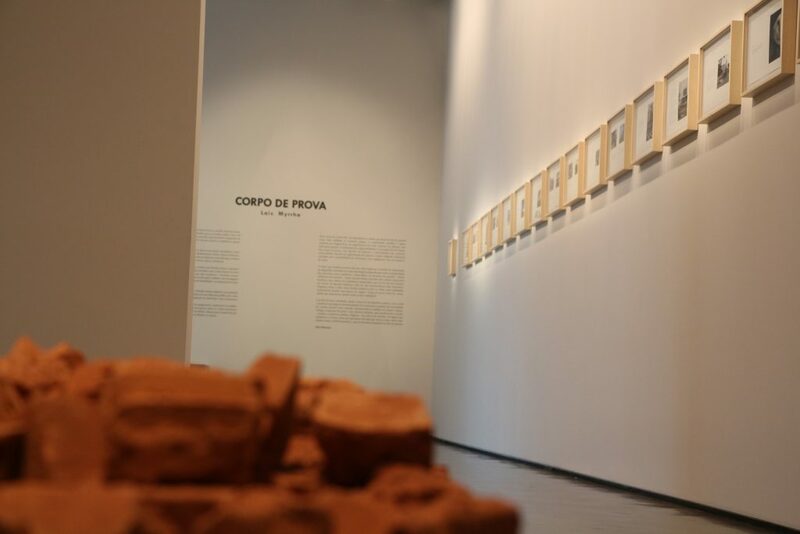 The symbolic and historical aspects of construction materials, the confidence in what we consider unshakable and the hindrances experienced by the inhabitants of cities are the main concerns of the exhibition “Corpo de Prova” (Body of Proof) by the artist Lais Myrrha. Born in Belo Horizonte in 1974 and daughter of a construction manager, the artist synthesizes the instability and inversion of the material narratives that permeate our experience and that build our relationship with our surroundings. Curated by Julia Rebouças (who joined the curators team of the last Biennial of São Paulo), the show occupies the second floor of Sesc Bom Retiro, in west São Paulo, and brings together four works that are divided into two rooms. In the first, there is the installation of paper, bronze and concrete “Corpo de Prova #9” and the video “Ainda não” (Not yet). 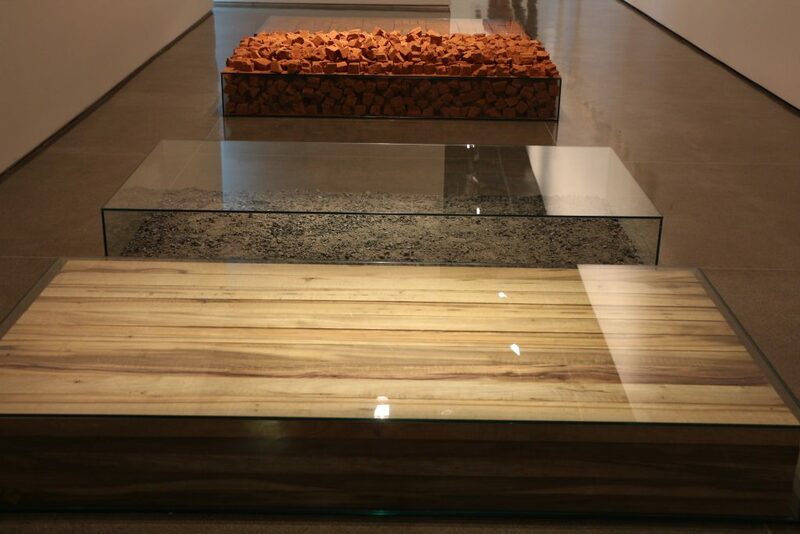 The installation of brick, wood, glass and ashes “Cálculo das diferenças” (Calculation of the differences) is in the second room. 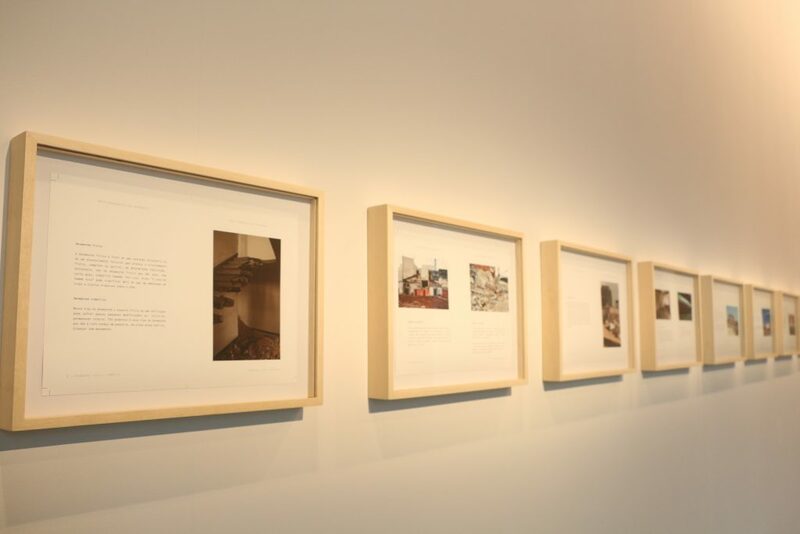 Both rooms are connected by a side wall that features seventeen framed pages of the book “Breve cronografia dos desmanches” (Brief chronography of the dismantling), in which the artist creates small poetic narratives around types of architectural disruptions caused by real estate speculation. 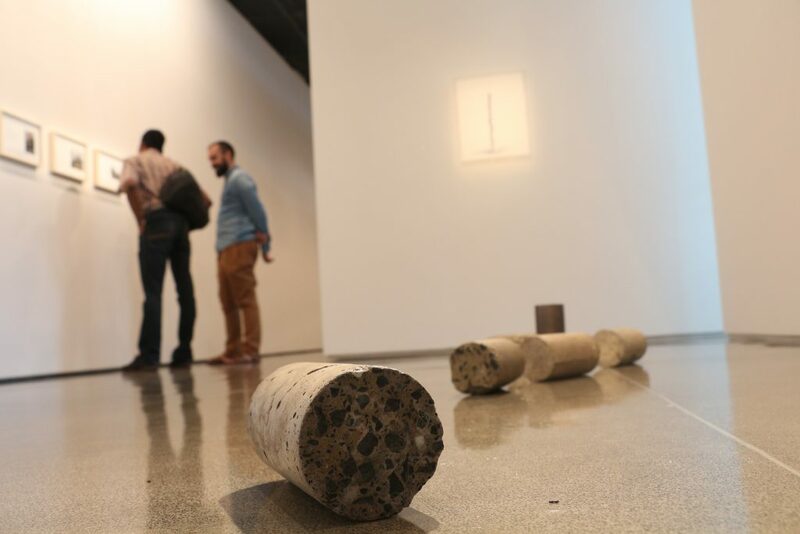 The current show echoes the large-scale work the artist recently presented at the 32nd São Paulo Biennial. “Dois pesos, duas medidas” (Two Weights, two measures) became an icon of that exhibition and was composed of two towers of stacked materials, one with elements of indigenous construction and another with materials from typical Brazilian buildings. Although elements of modernist architecture are very present in her works, the artist does not seek to deconstruct its formal, constructivist and utopian heritage but to rethink, through its material qualities, certain forgotten episodes of its own history. Perhaps this is one of the reasons that Myrrha usually spreads these architectural materials through spatial narratives that blend fiction and documentary. By rescuing and making visible the ghosts and erased traces of Brazil’s past, she inserts into the present moment new considerations that point to the idea of failure as inseparable from victory. I talked with the São Paulo-based artist about her practice in general and her show at Sesc Bom Retiro. When and how did your interest in typical building materials begin? The symbolic and historical aspect of the materials always interested me. I use this type of material as much as I use gold, maps, etc. I think the first work in which I used cement was on the “Pódio para ninguém” (2010). What was the starting point for the exhibition “Corpo de Prova”? I received an invitation from Barbara Rodrigues to present a project for Sesc Bom Retiro. They were interested in showing my work called “Equivalência Provisória” (Provisional Equivalence), which I showed once in 2014 in Belo Horizonte at the Manoel Macedo Gallery. However, the dimensions of the work were not compatible with the space we would have available. So I proposed to invite Julia Rebouças to curate the show. She is a curator who knows my process deeply and who could help organize a show that, although concise, could present important aspects of my research in recent years. I told her about a new installation that I wanted to do [Cálculo das Diferenças]. As it was a direct development of the work I presented at the last São Paulo Biennial [Dois pesos, duas medidas] I thought it would make sense. She liked it and from there she chose the other works. 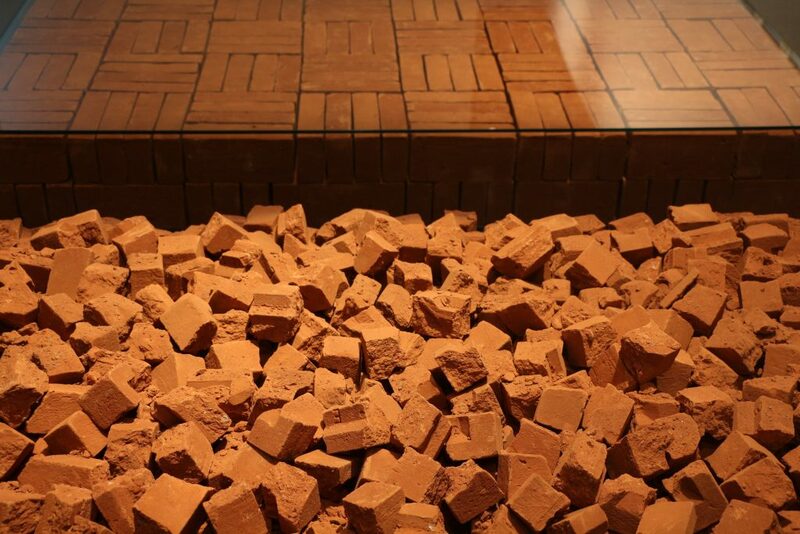 In the exhibition, materials such as residual dust from the destruction of bricks and wood are now grouped sculpturally or dispersed by the floor, as ruins of some construction. Is there an intention both here and in your work in general to deconstruct this “hopeful Modernism” that dominated Brazil in the 1960s? What do you think has changed since then? As incredible as it may seem, my first interest is not in its deconstruction, but in rethinking certain episodes or in other words recovering some of the shadows or lines of Modernism that have been set aside for certain circumstances. Your question is very interesting and I do not know if you have seen a series of collages I made called “Reparação de Danos” (Damage Repair) that I am showing at the Broadway Gallery 1602, in New York. When I began to do it, I was thinking precisely whether it would be possible to recover the feeling of hope that dominated this “hopeful Modernism” to which you refer. The result is a series of collages in which I appropriate images that have been published in newspapers during the process of President Dilma Rousseff’s impeachment. In that work I erased images of politicians using their own background. These backgrounds refer to Constructivism. Many are geometric or monochromatic patterns. This erasure, however, is partial. It preserves the ghosts of what was there. When I bring something out of the history, what I have in mind is what it can tell us about our present. The work “Corpo de Prova #9” also reminded me of the “Projeto Gameleira 1971,” which you presented at Pivô in 2014, where you symbolically and physically reconstructed one of the biggest civil construction disasters in Brazil in 1971 in the city of Belo Horizonte, whose project belonged to the Modernist architect Oscar Niemeyer. Is there a relationship between that project and the actual show? I think it is possible. But above all, the “Corpo de Prova” series is about the historical relationship of sculpture to the monument in general. It is a work on the idea that victory and failure are always concomitant. Also on the occasion of the show at Pivô, you presented the book “Breve cronografia dos desmanches,” which you now present in separate and framed sheets. Why did you choose to resubmit it that way? This is not the first time I’ve shown it like this. The first was in the my solo exhibition “Arquitetura Temporã,” that was held in the gallery Manoel Macedo, in Belo Horizonte, 2014, before the “Projeto Gameleira 1971” at Pivô. Soon after I showed it at the group show “Taipa e Tapume,” curated by Tomás Toledo at Galeria Leme. I wanted it so because the reading acquires a temporal relationship with space, different from a book that is portable and individual. And finally, how do you see these dismantling of cities evident through this research you did for the book? To answer this we would need a lot more space and time than we have. The book texts are mine and they are more findings than judgments. My role as an artist is not to judge but to turn things visible.